On December 2nd, Chicago’s City Council passed a very modest increase to the minimum wage within the city limits. The minimum wage in Illinois is currently $8.25 an hour and the new ordinance will incrementally bring the minimum wage up to $13 by 2019. Much can be said about how Mayor Emanuel, who supports the measure, is using his tried-and-true strategy of triangulation to hold off on the current demand by community groups for a $15 minimum wage, but retain the optics of responding to the community as we draw closer to his February 2015 re-election bid. This post is not about that, though. This move will not be detrimental to big-box store margins. However, some small business owners have voiced their opposition to the plan, explaining that this move will make their businesses unprofitable and therefore unsustainable. Mason Green, owner of Chicago’s Bourgeoisie Pig Cafe in the tony Lincoln Park Neighborhood is an opponent of the increase. 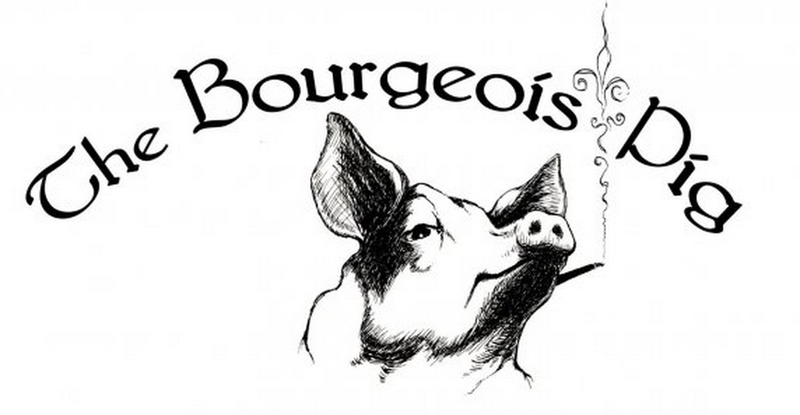 In case you didn’t pick up on that the first time, the owner of a restaurant named “Bourgeoisie Pig” — a restaurant that charges $9 for a sandwich — does not want to pay his workers a wage somewhat closer to a living wage. Green said he is considering switching from counter service to a full-service restaurant so employees would be eligible for the lower minimum wage paid to waitstaff and rely on tips. That’s right, Green is going to change his entire business model to game the system and pay his workers less. How petty of the Bourgeoisie Pig Cafe to look to shortchange the workers first while there are other options on the table. I am not convinced that the new wage will break businesses, but for the sake of argument*, let’s say that it’s completely necessary that the business owners keep their profit margins at the same levels they are today. Costs associated with running a business that are not dependent on the production or profitability of the business. Two of the most expensive fixed costs are land and labor. If an employee works 4o hours a week for 52 weeks a year at 8.25 an hour, she will earn about $17,160 before taxes. In Illinois, the poverty line is below $23,850 for a family of four. A rate of $13.00 an hour will raise the worker’s earnings to 27,040 annually. That’s not even until 2019, when the poverty line will likely increase with inflation. The fixed cost of labor for employers who pay their employees the bare minimum has remained stagnant since 2011, when it was raised a quarter from $8 to $8.25. Rents in the City, both commercial and residential have increased substantially since the last increase in the wage. It looks like the new plan will require a recalibration of business practices for the business owners, sacrifices from low wage workers, who will continue to struggle to make ends meet, but business as usual for the landlords who extract rents from both. It seems that both workers and the business owners have a common interest in pushing back against landlords in the city who continue to gouge consumers while offering nothing but the land they own. If business owners were interested in respecting their workers’ labor while protecting their own bottom lines, they would organize actions against the landlords who continue to artificially raise rents during a time of crisis for working people. Business owners could work alongside their employees to organize rent strikes. In Chicago, there are some areas where all of the buildings are owned by one or just a few firms. If the people who frequent these businesses stand in solidarity with the business owners and workers, real pressure could be placed on these landlords to lower their rents for businesses and residents. These strikes can be backed up with threats of boycotts of the new businesses that plan on moving in once the old businesses are evicted. Pressure can also be placed on the politicians who take contributions from landlords and developers. There is so much potential for community building in this plan. Business owners continue to message that a raise of the wage will hurt its customers. Working with customers to fight for shared interests could benefit all. *More often than not, when I publish blogs on my personal site, it’s not a complete endorsement of my ideas. I use this space to flesh out unfinished or at least untested concepts and invite people to challenge my assertions to refine my ideas. In this instance, I am fleshing out an idea that challenges the messaging used by business owners. I am in no way agreeing with the assertions they’ve made about raising the wage hurting business. I wanted to put out a counter proposal to fighting the public’s interest in their pursuit of maintaing their bottom line. This entry was posted on December 16, 2014 by Kenzo Shibata in Uncategorized.